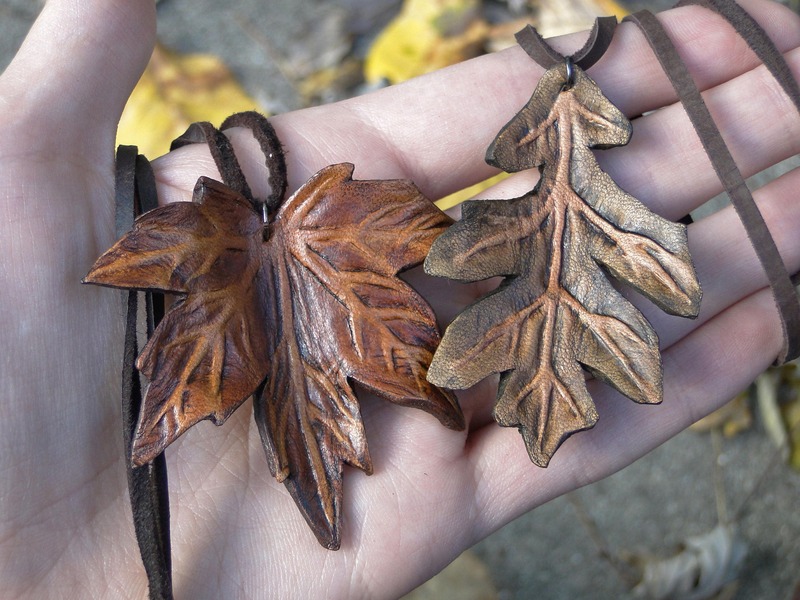 Beautiful leather leaf necklaces, each individual and unique. 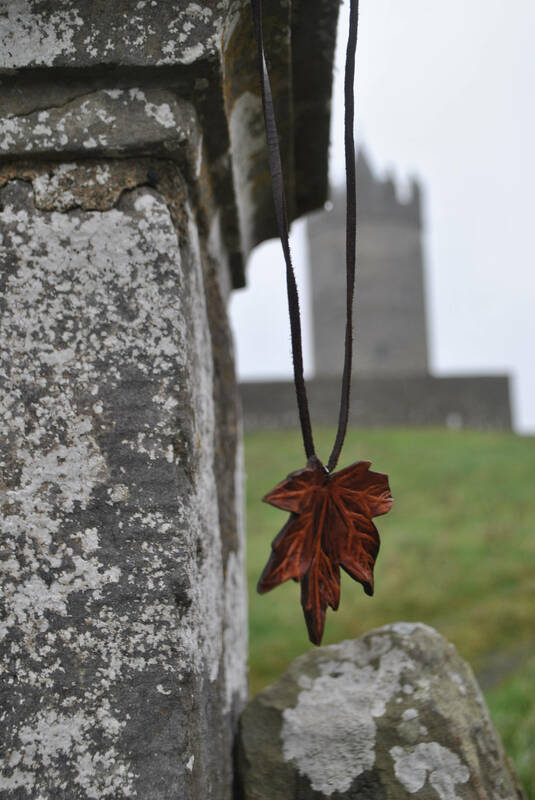 Hand cut from high quality leather, both delicate and strong, they have been molded with water to dry in shapes that mimic natural leaves. 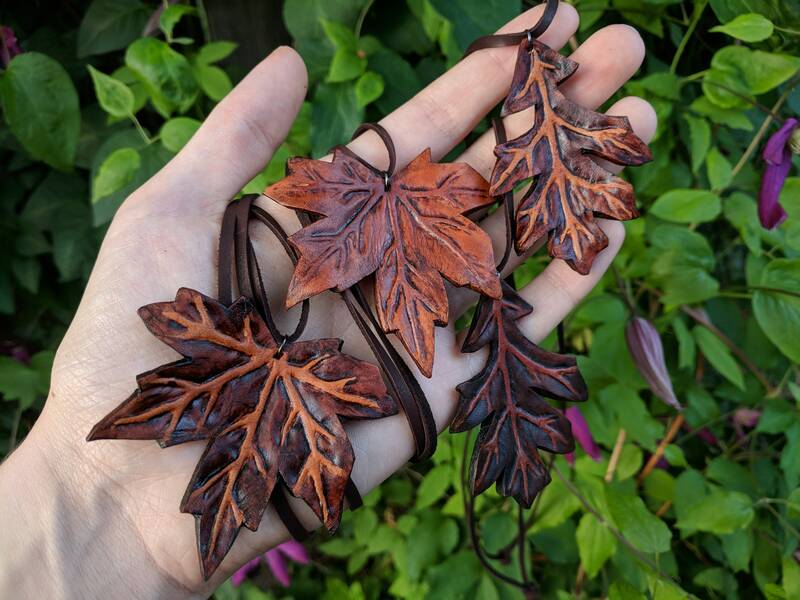 Detailed tooled veins, hand dyed with eco friendly products and sealed. Come with lovely soft deerskin leather lace 32" long. Wear long, or easily adjust and tie knot to wear shorter. Maple approx. 2.5" x 2.5"
So stunning!!! I’m going to add this to my everyday necklaces. Gorgeous. Good quality and good size. Very pleased with this purchase.